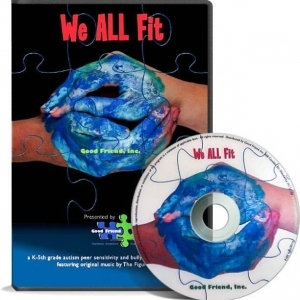 “We ALL Fit” (2014) and the award-winning “Choosing To Be a GFF (Good Friend Forever)” (2011) are now available in one boxed set at a $5 savings over purchasing the two DVDs individually! Each peer education film is approximately 16 minutes long. The elementary school version is intended for grades K-5, and the middle school is for 6th-8th grades.